In today’s high-tech era, brains are the most valuable resource. Ukraine is the largest IT outsourcing market in Central and Eastern Europe and one of the largest worldwide. For more than 10 years, the IT outsourcing market has been growing by 30 per cent annually. So why should we export our intellectual resources to other countries, when Ukraine can use its knowledge, experience, and skills to develop its own products and services? In accordance with this goal, Kyivstar is highly committed to fostering technological progress in Ukraine. Our company has recently made significant investments to roll out a 3G network capable of providing customers in all regions with top-quality, high-speed mobile Internet services. The 3G network is likely to be a major driver of mobile Internet penetration, which will further boost the growth of local Internet and app businesses. 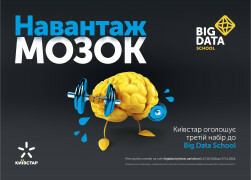 Last year, we introduced a unique Big Data School to provide technical training to young IT specialists and engineers. We believe that sharing knowledge with enthusiastic youth is a foundation for developing an inclusive entrepreneurial ecosystem in the country. To foster collaboration with young entrepreneurs, Kyivstar launched a telecom accelerator in partnership with tech cluster VDNG-TECh in 2016. This is an educational and training program for established Ukrainian start-ups that also provides companies with the opportunity to test their business models on Kyivstar’s platform. This program brings synergies for both parties: a source of innovative ideas for the telecom operator and an additional growth driver for start-ups. The Ukrainian start-up ecosystem has only begun to develop—a lot already has been accom- plished, and even more has to be done in the future. This paper provides an advanced and profound analysis of the Ukrainian digital start-up ecosystem, its current challenges, and major threats that its players experience, as well as ideas on how different parties could contribute to further advance the start-up ecosystem. We hope this paper will draw attention from international partners, local business players, entrepreneurs, and the government to our suggestions for future collaboration. We strongly believe in Ukraine’s intellectual power, in its crucial role in global high-tech progress, and in the future achievements of its digital start-ups. Now is the right time, and Kyivstar will further contribute to these developments. Ukraine recognizes the importance of becoming a major player in the global digital world. A large developing country with a well-educated workforce and a strong IT industry, Ukraine has just started to build its digital ecosystem. Over a short period of time, the country has already produced dozens of successful Internet-based companies, the first local venture-capital funds, and a new generation of enter- prising and globally oriented Millennials who are driving high-tech evolution in Ukraine. The next step is for Ukraine to build on these foundations and establish a world-class digital ecosystem. A.T. Kearney started operations in Ukraine in 2008, and since that time our team has witnessed enormous development of the country’s IT, e-commerce, and telecommunication industries. Local e-commerce companies have educated a generation of online consumers, and the 3G launch accelerated the adoption of innovative digital services. A.T. Kearney’s recent consumer study shows that the use of digital offers on mobile phones across Ukraine is among the highest in Europe. Local market augmentation in line with global digital evolution brings unique opportu- nities to Ukraine to build a truly digital economy and establish multibillionaire digital champions. Creation of an authentically entrepreneurial culture is a prerequisite to pursue these opportu- nities. Recent start-up success stories have proved that Ukrainian entrepreneurs are technically capable and highly motivated to drive innovation and value creation both locally and globally. However, Ukrainian start-ups require substantial financial, managerial, and technical support. While start-ups could become the backbone of the digital economy, established businesses and public authorities could provide needed support. This paper draws on a diverse and expert group of sources to attract the attention of inter- national and local players to the current challenges and first achievements of the Ukrainian start-up ecosystem. It also provides recommendations about how to support entrepreneurs in ways that will drive substantial socioeconomic benefits in the future. We look forward to working with Kyivstar and other stakeholders to help implement these recommendations and ensure that Ukraine builds the digital economy it deserves. If Ukraine can build on its considerable technical expertise to create a vibrant digital entrepreneurial ecosystem, it could become a major player in the global digital economy, bolstering its competitiveness and long-term prospects. Today, about 400 digital start-ups are launched each year, of which only one or two ultimately become successful companies. Among these success stories are Readdle, which provides applications for document reading, scanning, formatting, and printing on iPhones and iPads, along with Deposit Photos, which has established a professional photo library, and Looksery, which has developed face transformation filters that can be used when taking a photo with a smartphone and has been acquired by Snapchat for $150 million. •Ukraine has few incubators and accelerators, while universities and large businesses provide insufficient support to start-ups. •Universities need to provide more effective business education to help engineers develop managerial Universities in Ukraine need to partner with corporations to introduce efficient business courses for non-business faculties. •Start-ups need to think globally from the Given the relatively small size of the domestic market, Ukraine’s public and private sectors need to work together to harness the Ukrainian diaspora and establish a network of foreign partners willing to help start-ups break into overseas markets. •The government needs to consider judicial, intellectual property, and political Looking beyond the current geopolitical situation, investors need to be assured of a level playing field and the rule of law. •The government needs to make regulation more efficient and flexible to give start-ups the scope to develop new business In particular, the government needs to address entrepreneurs’ concerns about the legal framework regulating online businesses, reducing regulation and identifying fiscal incentives where possible. A vibrant entrepreneurial ecosystem can have a huge impact on the overall health of a national economy. In the United States, for example, companies originally backed by venture capital now account for 43 percent of public corporations and 57 percent of the total market capital- ization of public companies. These companies create jobs (accounting for 37 percent of the total workforce of public companies), pay taxes, and make a major contribution to the broader health of the economy. Venture capital is also a key growth engine in some smaller economies, such as in Israel. Ukraine is grappling with both the immediate impact of the ongoing geopolitical situation and fundamental structural challenges in its economy. In 2014–2015, the Ukrainian economy has halved in dollar terms. Ukraine’s aging and shrinking population, together with an over- dependence on raw materials and agriculture, are dampening the country’s long-term growth prospects. Yet Ukraine has some of the key ingredients necessary to develop a vibrant digital ecosystem, providing well-paid jobs that could keep young, talented people in the country. In particular, Ukraine has a good education system and a strong IT outsourcing industry, which gives its software engineers exposure to and experience with global markets. If Ukraine can build on its considerable technical expertise to create a vibrant digital entrepreneurial ecosystem, it could become a major player in the global digital economy, bolstering its competitiveness and its long-term prospects. To stimulate debate about how to strengthen Ukraine’s position in the global digital economy, this paper analyzes the country’s existing digital entrepreneurial ecosystem, pinpointing its strengths and weaknesses, before making recommendations. The paper presents key findings from research conducted by A.T. Kearney and VimpelCom for Make Your Mark, the flagship corporate responsibility program of VimpelCom, which is a major player in Ukraine’s nascent digital economy. A.T. Kearney interviewed key market experts, including educational institutes, investors, accelerators, and entrepreneurs, and conducted an online survey of digital start-ups. This paper draws on the views of these market experts and participants along with data obtained from third-party sources such as the World Economic Forum, the International Telecommunication Union (ITU), The Dealbook of Ukraine by AVentures Capital and Ukraine Digital News, and industry analysts to present insights into how Ukraine can build a vibrant digital ecosystem. In Ukraine, about 400 digital start-ups are launched each year. Market experts estimate that about half of these are promising projects, of which about 30 percent secure funding within Ukraine, either from venture capitalists, business angels, or friends and family. A further 5 percent go abroad for funding. Of the 60 or so Ukrainian funded start-ups that remain in the country, about a third become sustainable, and one or two scale into “star” companies— successful and growing businesses (see figure 1). Several digital start-ups from Ukraine have become successful on the global stage. One of the most prominent is Readdle, which provides applications for document reading, scanning, formatting, and printing on iPhones and iPads. About 40 million people have downloaded Readdle’s apps. Another international success story is Deposit Photos, an online library from which designers can source professional photos. It has annual revenue of more than $10 million and has opened an office in New York. Moreover, Ukrainian start-ups have caught the attention of global Internet players. For example, Snapchat spent $150 million to acquire Looksery, a Ukrainian company that developed real-time face transformation filters that can be used when taking a photo with a smartphone. Among the digital start-ups that received funding between 2012 and 2014, most (57 percent) are focused on the global market, with about half pursuing business-to-consumer (B2C) business models and an additional 12 percent adopting a mixture of B2C and business-to-business (B2B) models. Most Ukrainian start-ups backed by venture capitalists between 2012 and 2014 are in the segments of online retailing; social platforms, software as a service (SaaS) and infrastructure as a service (IaaS), also known as cloud computing; content; and big data (see figure 2). About 65 percent focus on the Web, 15 percent say they are pursuing Web and mobile, and 15 percent are mobile only. Some foreign venture capital firms have been active in the Ukrainian market, sometimes in partnership with one of five Ukrainian VC funds, or local business angels (politicians and established businessmen). Although the largest Russian VC funds started actively investing in Ukraine in 2010, investment from Russia ceased in 2014 due to the political confrontation between the two countries. That crisis, together with the related economic implosion, has prompted investors to become more risk averse. In 2014, total investment in Ukrainian digital start-ups was about $23 million, less than half of that in 2013 despite a rise in the number of deals (see figure 3). The vast majority of investments in 2014 were small seed-stage deals. Government support is limited to the provision of physical co-working space by city authorities, such as those in Kyiv and Lviv, while corporations remain largely passive in the development of the digital ecosystem, although there are a few examples of start-up partnerships with businesses in the banking sector, such as PrivatBank. Although the geopolitical situation is having an impact across the economy, some digital sectors in Ukraine are seeing growth in investment, albeit from a low base. Investments in start-ups in the online travel, online transport, Internet of Things, and online health segments have been growing over the past few years (see figure 4). In Ukraine, 2015 is likely to mark the bottom of the venture capital market. Even under a pessi- mistic scenario in which the number of deals remains flat in 2016, the overall investment by venture capitalists in Ukrainian digital start-ups is likely to rise slightly. The average deal value is likely to grow slightly in 2016-2017 (from a very low base) as earlier projects mature and seek new, larger investment rounds. However, many of these later funding rounds could take place abroad as a result of continued political instability and lack of local investors. Under a more optimistic scenario, venture capital investment could make a significant recovery in 2016 before rising to about $100 million in 2017. This growth could be driven by the launch of several accelerators and innovative centers that attract the attention of global investors looking for fresh talent. Ukraine has a strong base of software developers (see section 3.5). At the same time, local investors could become more active as they see opportunities to make a return through later funding rounds led by global investors. The number of Internet users in Ukraine rose to 20 million in 2014, taking the proportion of the population with Internet access to 43 percent—significantly below that in developed countries (see figure 5). Internet usage has been held back by a lack of fixed-line infrastructure and the relatively late launch of 3G mobile services. Still, growing smartphone adoption is enabling more people to get online. By 2018, there are likely to be 41 million smartphones in use in Ukraine, up from 16 million in 2014. Fixed broadband penetration is also rising, albeit slowly, and is now close to 25 percent of households. However, the high cost of deploying infrastructure across Ukraine’s large geographic expanse means some towns and villages have no fixed lines at all. Although 21 million Ukrainians have Internet access, the most promising market for digital starts-ups are relatively affluent young people living in cities. Consumers’ buying power has decreased significantly since the devaluation of the hryvnia: only about 25 percent of Internet users earn the equivalent of more than $141 per month, and only 7 percent earn more than $301 per month. Today, Ukrainians are spending less than other Europeans on smartphone apps, but they are generally receptive to buying apps in the future and are more likely to shop using their mobile devices than other Europeans. Ukraine ranks high both in terms of mobile commerce spending and digital usage based on an index that considers the share of consumers using their phone to access the Internet and apps, make digital and physical purchases, make calls via apps, and preferring to buy connectivity online (see figure 6). There are about 340,000 companies in Ukraine, of which 82 percent have 10 or fewer employees. The wholesale and retail trade is the largest segment, accounting for 28 percent of all Ukrainian companies, while agriculture and forestry is the second largest segment with 14 percent. The fastest-growing segment is transportation and postal, which today accounts for 4 percent of Ukraine’s companies. Market experts say the digital B2B sector is undeveloped, with opportunities for start-ups to deliver solutions that reduce costs and drive revenue, particularly in the agriculture, retail, logistics, and transportation sectors. Because small and medium-size enterprises are more flexible than their large counterparts, they are more likely to be receptive to such solutions and have shorter decision-making processes. However, smaller companies tend to be less stable. Ukraine does have key assets that could help digital start-ups develop. One is a major IT outsourcing industry made up of more than 500 companies generating collective annual revenue of about $2 billion each year, according to an estimate by VERNA. For digital start-ups, this sector, which employs more than 40,000 people, is both a competitor for and a source of engineering and managerial talent. Ukraine is also home to more than 100 R&D centers run by global companies and more than 100 established online commerce and digital platforms, primarily serving the local market. Again, these employers represent both a potential source of and a potential competitor for software developers and managers. However, political instability has caused some upheaval in Ukraine’s IT industry. About half of Ukraine’s outsourcing companies are scaling back their activities, according to some market experts, while some R&D centers have either closed or reduced their operations. Ukraine is a significant source of low-cost software developers and IT professionals for the global economy. The country has about 150,000 software developers, ranking the country 20th globally, with an additional 17,000 IT specialists graduating each year. Salaries are low by international standards, with software developers in the Ukraine earning an average of 70 percent less than their counterparts in the United States (see figure 7). The growing trend of talent mobility is accelerating the migration of Ukrainian developers to developed countries, where political stability is greater and salaries are higher. Most of the IT specialists who remain in Ukraine work in the country’s well-established outsourcing industry, in corporate R&D centers, or for established online commerce platforms, which pay relatively high salaries by Ukrainian standards: only 1 to 3 percent of the country’s IT workforce is involved in start-ups. IT companies say graduates tend to have good basic competencies in IT, but they still need to provide additional programs, running for several months, for new employees. Market experts and start-ups stress the importance of government support. In particular, they say that market access regulations could be more flexible and that tax and investor protection laws could create a more favorable environment for the development of entrepreneurial ecosystems. The Ukrainian government, in its decree “On the Strategy for Sustainable Development ‘Ukraine-2020,’” announced several priorities for country development, addressing critical issues such as the deregulation and development of entrepreneurship, as well as reforms of the tax system, corporate law, and the financial sector. To step up digitization in Ukraine, several governmental programs have been launched recently: an e-commerce law was adopted in 2015 that addressed several gaps in online transaction regulations; an “Open Data Initiative” resulted in February 2016 in the opening of the “1991” incubator, which is the first non-commercial development program for digital start-ups based on open government data; and e-government and “smart city” initiatives in the largest cities have attracted talented digital start-ups. The support network available to entrepreneurs in Ukraine is very limited. The country has insufficient accelerators and incubators, a lack of local mentors and experienced entrepre- neurs, and few potential sources of investment. Market experts say several accelerators (sponsored by private investors) have had to close after adopting unsustainable business models based on short time horizons and aggressive financial terms. Although some city administrations are launching new accelerator projects, they tend to lack a single long-term strategy and significant private investment. Moreover, several similar projects have been launched in parallel, potentially spreading the available investment too thin while complicating and delaying rollouts. One of the success stories is a project launched by the National Technical University of Ukraine “Kyiv Polytechnic Institute” (KPI). The university has established a successful school for start-ups, which provides two months of free business education focused on technology transfers and innovative entrepreneurship. KPI also runs a “pre-incubator” to help aspiring entrepreneurs validate business ideas, together with the Sikorsky Challenge contest in which the winners receive seed funding. Moreover, the university has created three venture capital funds and is engaged as a partner in seven venture capital funds. Although most co-working places are too expensive for entrepreneurs, the government of Sweden is sponsoring low-cost facilities in Kyiv, called iHub, and there are plans to open similar facilities in other cities. Moreover, the number of networking events aimed at start-ups is growing each year, driven by local VC funds, private investors, and co-working places. Although participation by international parties is rare, these events provide opportunities for public relations and making contacts in the local market. Ukrainian start-ups say they really value marketing support, legal and tax advice, and feedback sessions with investors and experts (see figure 8). In terms of marketing support, start-ups want quick access to a customer base to test a hypothesis or to get support in service promotion. The concept of mentorship is not well-developed in Ukraine, and only 55 percent of respondents identify mentoring programs as important. Although seed and round A funding is still available in Ukraine (see section 2.2), the geopolitical and economic situation has made it harder than ever for digital start-ups to secure round B and round C funding (see figure 9). This makes it tough for entrepreneurs to take their business across the chasm between start up and scale up. The immaturity of the Ukrainian VC market means there have been no series C deals. Some start-ups have instead sought later-stage funding in the United States. In 2014, there were just 10 small exits, typically through acquisitions by foreign strategic investors, such as Google, Opera Software, and Naspers. Collaboration between universities and industry helps businesses innovate, adapt to change, and become more globally competitive. In fact, there is a strong correlation between the degree of collaboration between academia and enterprises and a country’s overall competi- tiveness, according the World Economic Forum (see figure 10). However, there is little effective collaboration between Ukrainian universities and industry. Higher education in Ukraine is still focused mostly on theory rather than practical application. Ukraine scores 3.5 on a seven-point index measuring university-industry collaboration on R&D—far behind the United States with 5.8 and Israel with 5.5. Low prestige and pay for academic work is also hampering innovation by Ukraine’s universities. In our online survey of entrepreneurs, most respondents say the majority of universities don’t provide efficient business and language courses (see figure 11). Still, most entrepreneurs do acknowledge that Ukraine’s education system is producing competent engineers and IT specialists. However, in 2006, KPI launched an innovation center—taking advantage of a special law giving it greater freedom in terms of activities and partnerships so it no longer had to employ a public tender process or special permits. By 2014, KPI’s innovation center had 111 partners in R&D outsourcing (mainly U.S. and Asian companies, including Samsung). In 2014, Ukraine adopted a law that also gives other universities greater independence to pursue innovation. Market experts and entrepreneurs say enterprises in Ukraine aren’t doing enough to support the development of a digital ecosystem (see figure 12). Although one-quarter of the start-ups in the online survey say they have a partnership with a corporation, more than half the respondents say enterprises have not developed sufficient transparency and haven’t made it simple enough to collaborate. Still, most start-ups believe corporations could add significant value to their businesses as distributors, customers, and investors. Start-ups suggest potential partnership roles such as organizing workshops with industry professionals, particularly engineers, to share knowledge in specific technical areas. For corporates, there are several potential benefits to engaging with start-ups, including intangible benefits such as building a better business environment, positive public relations, and improved reputation along with practical benefits such as creating a more entrepreneurial culture, support in tackling specific business problems, and aid in expanding into new markets and services. However, only 10 percent of start-ups in our online survey agree they need to partner with a corporate to be successful, while 80 percent believe it doesn’t matter. With a strong IT industry and a good supply of engineers, the basic conditions are in place to develop a vibrant digital start-up ecosystem. Better alignment of efforts, however, will be required to build on this foundation. Among the many factors at work, digital entrepreneurs identify the inefficient regulatory framework and limited access to investors and funding as their biggest barriers (see figure 13). To help the economy grow and boost the domestic market, Ukraine needs to take steps to address both these barriers. To that end, this section recommends some key actions for stakeholders in the digital ecosystem. Greater engagement between corporates and start-ups. Enterprises need to give entrepreneurs better access to their key decision makers. Greater engagement with start-ups will help enterprises to become flexible, innovative, and nimble, thereby maintaining their competitiveness in a more digital economy. Both corporates and VC funds need to provide start-ups with more managerial support and expertise by providing either non-executive directors or informal mentors. Expand business education in universities to enable engineers to gain more managerial skills. More universities need to follow in the footsteps of KPI and partner with corporations to introduce efficient business courses for non-business faculties. Universities also need to partner with other universities to develop joint business programs. Increase support for start-ups to scale globally. Given the relatively small size of the domestic market, Ukraine’s start-ups need to begin with an international mindset. They need to be active outside Ukraine to grow quickly and attract investment. To that end, the country’s public and private sectors need to work together to harness the Ukrainian diaspora and establish a network of foreign partners willing to help start-ups break into overseas markets. Mitigate risks by creating syndicates led by local VCs. Investors can lower risks by estab- lishing syndicates with local VC funds leading the deal. Such syndicates should look to bring in foreign VC funds with the financial firepower to increase the liquidity in the Ukrainian market. Foreign VCs have been open to such partnerships in the past, and the global search for engineering talent should ensure they once again become active in Ukraine. VC funds also need to promote transparency and collaboration to enable non-specialized private investors to participate in syndicates. These measures would alleviate the bottleneck in later-stage funding. Undertake judicial, intellectual property, and political reforms. Looking beyond the current geopolitical challenges, investors need to be assured of a level playing field and the rule of law, with more opportunities for competition and fewer opportunities for corruption. If Ukraine can create a robust, trusted, and objective legal framework, the economy will gain new momentum and return to long-term growth. Encourage greater collaboration between academia and industry. More universities need to follow the example of KPI and collaborate with international tech giants and local digital companies, set up incubators, and encourage entrepreneurship by students and alumni. Make regulation more efficient and flexible. Start-ups need to have the scope to experiment with new business models and innovate. The government needs to fill gaps in the legal framework regulating online businesses, reduce regulation in some areas, and review taxes on small businesses. A regulatory environment that encourages digital innovation will help attract investors and reduce emigration of talented engineers and entrepreneurs.